After an 8 month journey to Lark Books, my Monkey quilt finally returned home! 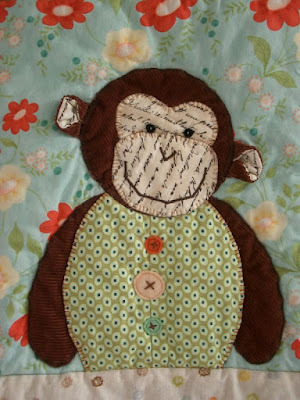 The pattern will be published in a book called Quilts, BABY! due out in May 2009. Everyone at Lark is very excited about this book and word is that it is going to be the best book Lark has published to date! I am so very excited! 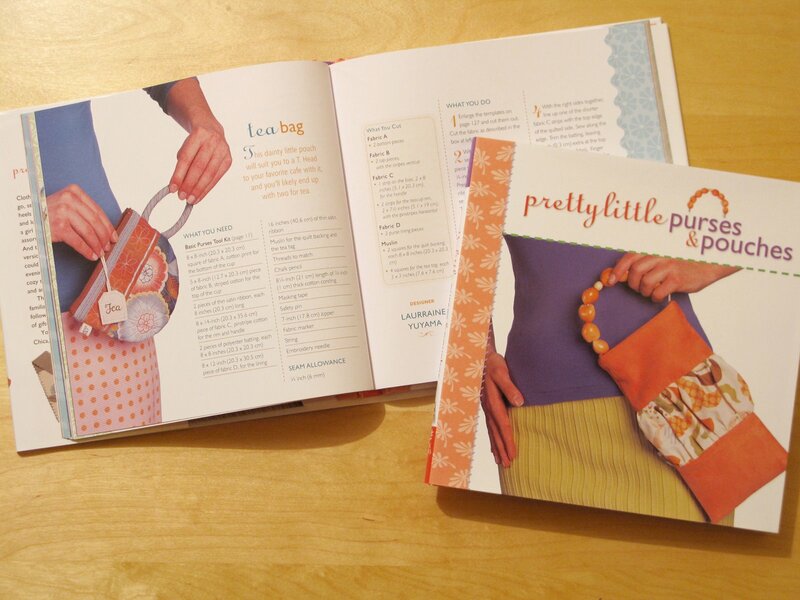 I also received my copies of Pretty Little Purses & Pouches in the mail this week. It features my third published pattern... Teacup pouch. They arrived just in time to give to my family & crafty friends as Christmas gifts! Recently I have been focusing on my pattern making. I have been working on my cover design and instruction layout. I am so excited because I have decided to go with a booklet layout instead of loose pages. Now that I have it all organized, I am sketching my days away between Christmas baking and crafts. As soon as I am happy with my sketches I will drop them into place with the help of photoshop and soon after, I will be able to send out copies out to my pattern testers. 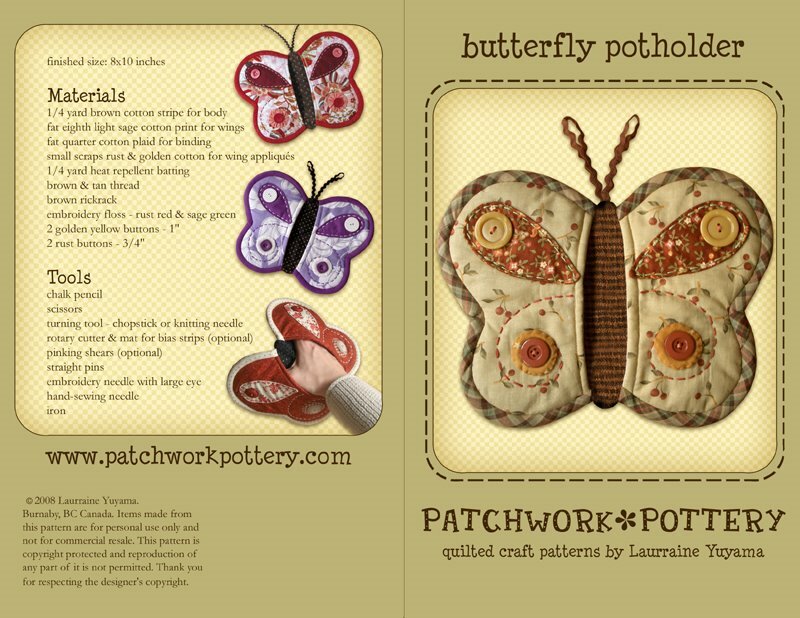 I want to thank everyone who has been waiting ever so patiently for my patterns over the last two years... you are STILL on my ever-growing list! I love all the little things You are sewing, it's a special style and it's fantastic. Thank You for sharing. Such exciting news. I am very happy for you. Let me know if you need another pattern tester! I would be interested! I love the quilt!!! I look forward to your patterns...your work is wonderful! How do you get to be a pattern tester? I think it is something I would love to do. Your patterns are looking great! I have been enjoying looking at your work for a while now and am so glad that I will be able to make something like it myself, so exciting. Congrats on the book published with your pattern! Your own book looks very professional! i am sure it will do very well! Congratulations. Such a very cute quilt. The butterfly is great! As the patterns get? La mariposa esta genial! Como se consiguen los patrones? Hi! I'm a big fan of your blog and your creations ! That's why I find that it's a great idea to publish your patterns ! I am so glad you're making patterns and getting published. You really deserve it as your ideas and work are fantastic! Love the monkey quilt and the butterfly potholder is beautiful! How does one get on your pattern-testing list? Congratulations on your publication!! 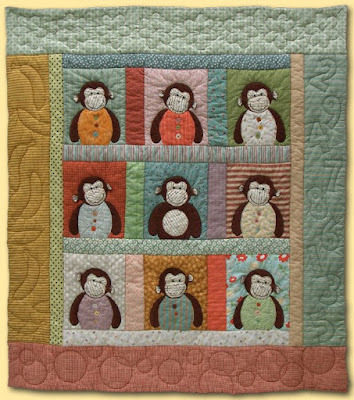 Your monkey quilt IS one of the cutest quilts EVER!! Your patterns are looking phenomenal...can't wait to see the finished products! Those monkeys are so cute! And that book is on my list for Santa this year.....I found you via Giveaway Day and so glad I did...I'm doing another giveaway on my blog; stop by if you get a chance! That's some exciting stuff!!! Congratulations! 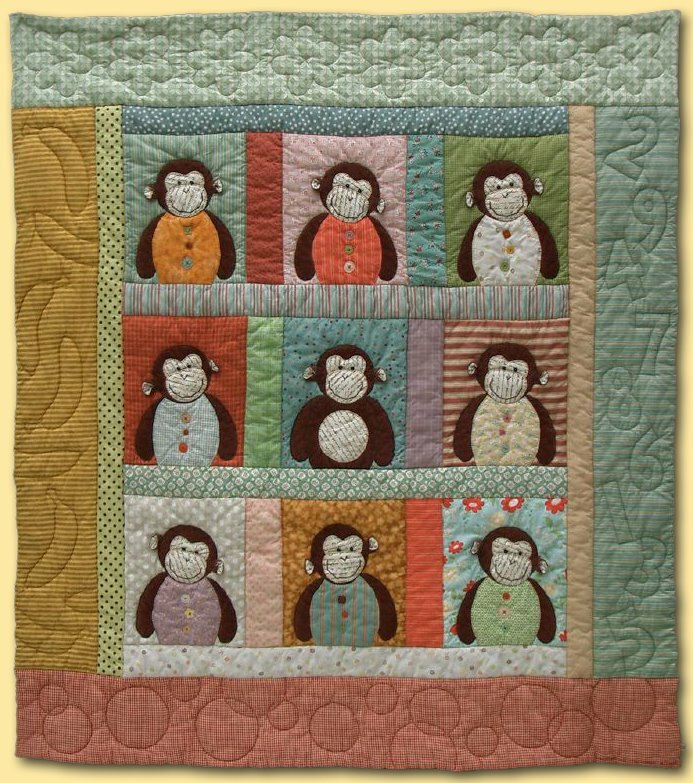 I just love that monkey quilt and have to say that it's one of the best quilts I've EVER seen. 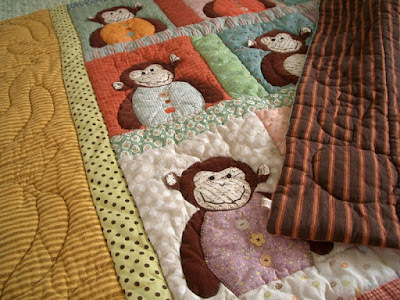 I love your monkey quilt. Your work is wonderful. 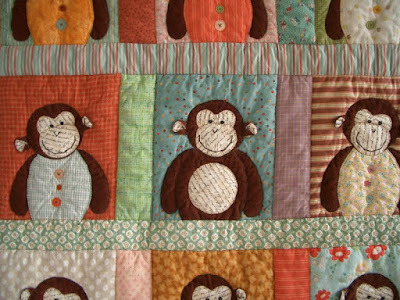 I love your monkey quilt. Your designs and patterns are wonderful. I love Your works! Wonderful!!! Have the pattern for your Tea Bag pouch - it is wonderful! Thank you so much for sharing your beautiful work!